From the moment Cardinal Shehan entered the school to a chorus of smiling singing children, it was a blessed experience. Friendly staff, parents and film crew along with Rabbi Groomberg and music teacher Erika Schon. Read more from JMORE Magazine! 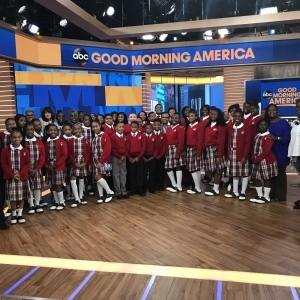 The nationally recognized Cardinal Shehan School Choir from Baltimore City has performed on Good Morning America, The View, and in June, at Governor Hogan’s Baltimore City Cabinet Meeting. They were nominated for a Daytime Emmy Award for their performance of Rise Up on The View. 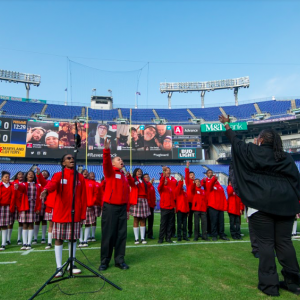 The choir most recently performed at Governor Hogan's Inauguration. 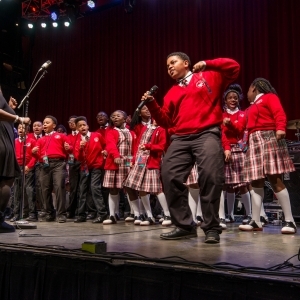 Make a gift today to support CSS! Our students are grateful for your support. Send us your contact information in celebration of our 30th anniversary by clicking here. 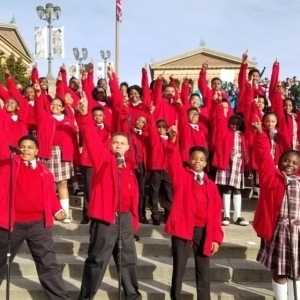 The choir is under the direction of Kenyatta Hardison who has been teaching at Cardinal Shehan for 23 years.